Christmas is just around the corner and it is time to have that perfect look for your house. We usually focus on making living areas perfect on the occasion of Christmas but what we skip to decorate bedroom. Your bedroom is your personal space, a sanctuary which should always be comfortable. It is a place which reflects your feelings, taste, your collections, and even your favorite color! Whether you are a modernist or love to go for a classic vintage look, there are few elements that even one of them goes missing; your entire room decor remains incomplete. 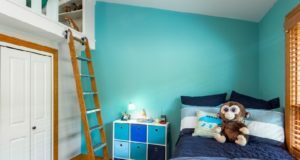 What is the perfect size for a bedroom? One can’t answer of this question “What is the perfect size for a bedroom” until he knows the requirement of owner or the person going to use that room. There are several factors that decide the size of a bedroom. This includes house’s complete area, other parts of the living space, requirement of the owner and more. Welcome to HomeDecorBuzz and today we are going to discuss some extremely beautiful and wonderful Modern Bedroom Designs that you can opt for your place. 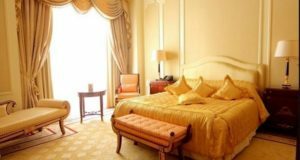 Modern time is full with showoff and fashion, hence people are tend to decorate their bedroom in the possible latest trending interior designing ways. Bedroom is a place to get relaxed and have some quality time with partner or children. The color combination of bedroom interior matters a lot as it makes you feel good about living. Gray color can be one of the most favorite colors to design bedroom as it gives coolness to eyes. Orange is not a colour we generally associate with a bedroom. 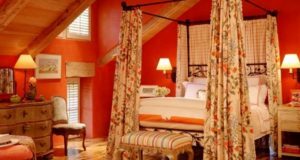 But, orange has great potential as a base color for your bedroom. Orange is not a color for everyone. People either love the colour or hate it. But when used properly in the right tones can create magic. Purple is the colour of royalty. Since ancient times purple denotes luxury and opulence. It is the go to colour if you want to create a decadent and sophisticated room that is the height of luxury. 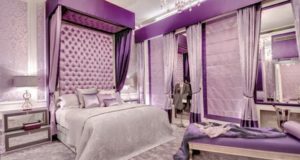 Today, it is easy to bring regality into your bedroom by simply adding purple in your colour scheme. Blue is a soothing and calm colour. It is most suitable as a base color for your bedroom. It adds space and airiness to the decor. It also symbolizes trust, confidence and loyalty making it the ideal choice for the cradle of a good relationship.